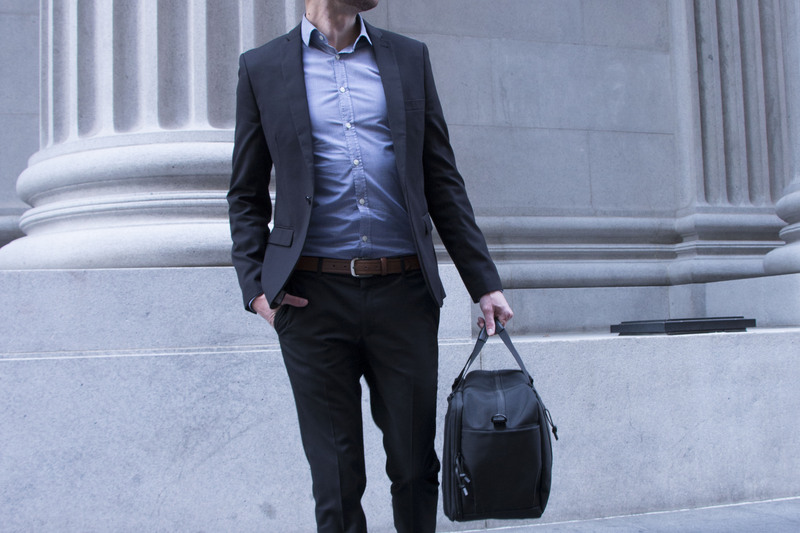 WaterField Designs launches the Atlas Executive Athletic Holdall, a sophisticated briefcase-workout hybrid bag designed to help professionals achieve optimal work performance and maintain a healthy lifestyle. 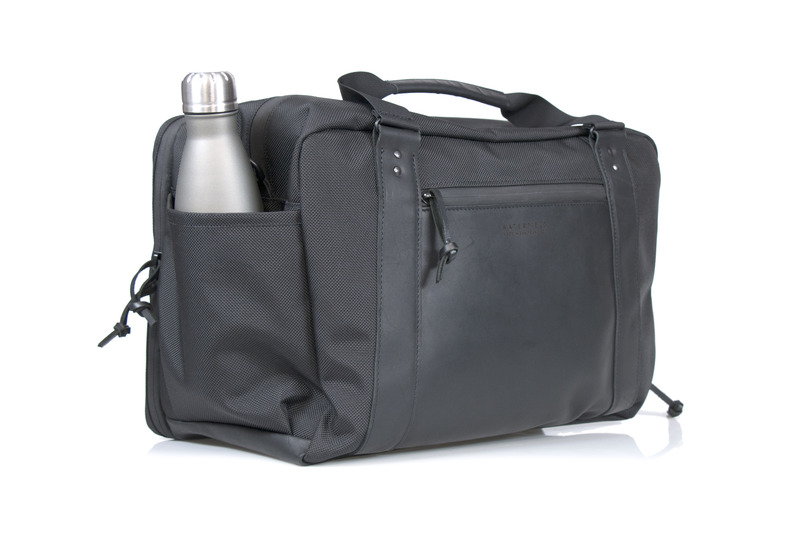 With separate compartments for tech gear and fitness attire, the Atlas Holdall eliminates the need for fitness-conscious professionals to manage multiple daily bags and puts exercise squarely into the equation every work day. 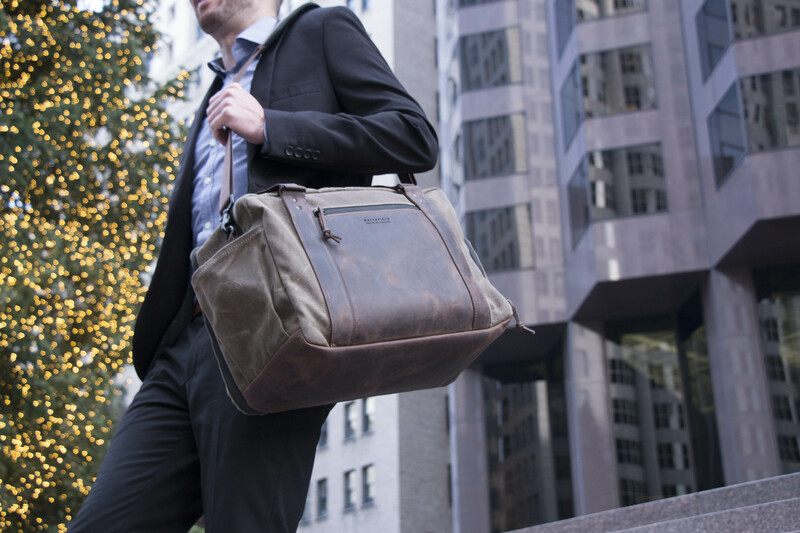 WaterField Designs’ new Atlas Executive Athletic Holdall, a hybrid briefcase-fitness bag, is designed to help professionals uphold Americans’ most popular New Year’s resolution: to get more exercise. 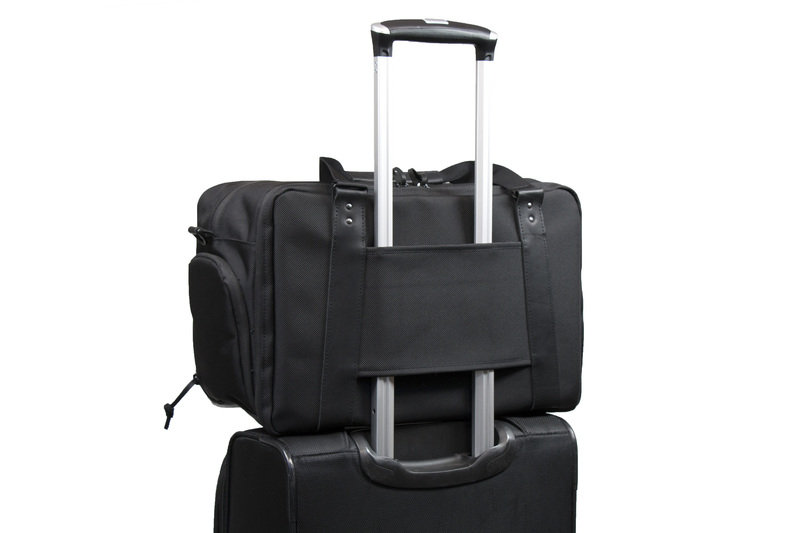 One side of the Atlas Holdall features a padded laptop and tablet compartment and organizational pockets for work essentials; the other side boasts a spacious chamber for clothes and a collapsible, zippered space for shoes. 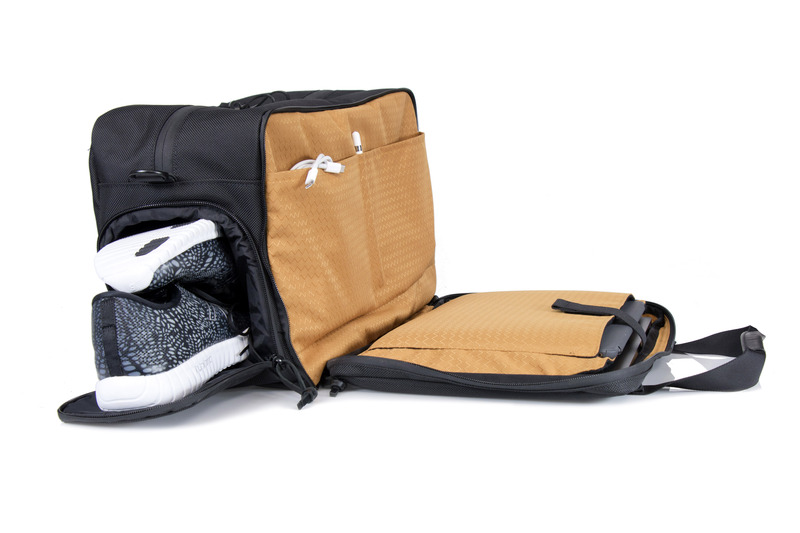 The sophisticated carryall, packed daily for both work and workout, promotes healthy behaviors to improve work effectiveness and fitness in 2018. Even though fewer than 40% of New Year’s resolutions survive the one-month mark, scientific research shows that it is possible to beat the discouraging odds. “Piggybacking” goals onto existing behaviors facilitates the creation of desirable new habits. 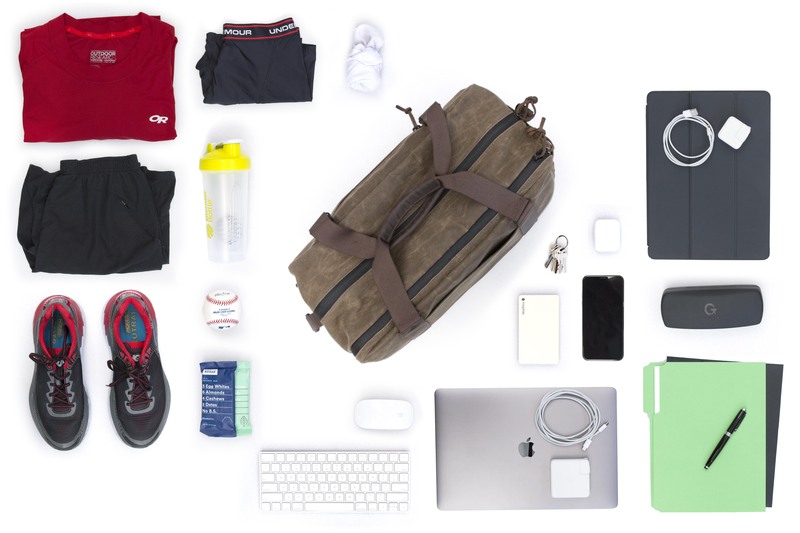 The Atlas Holdall helps the fitness-minded professional create an enduring fitness habit by supporting two critical elements of successful habit building: the cue and reward. 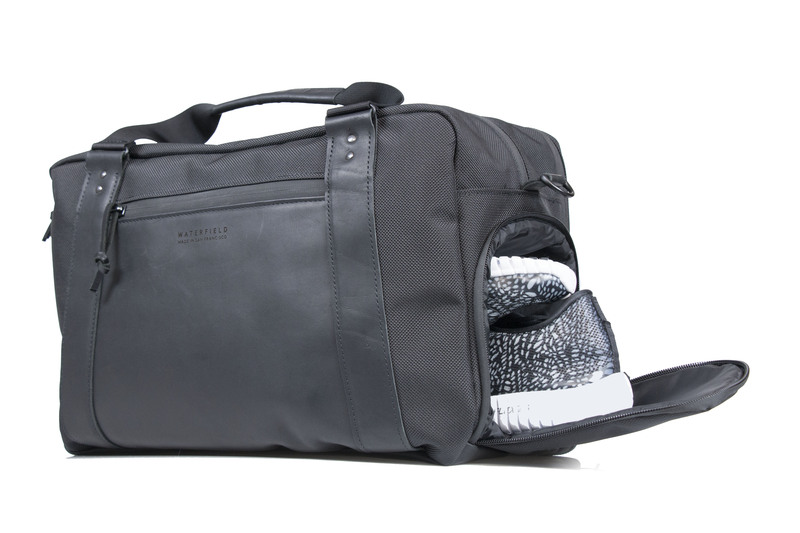 Pre-packing work and exercise essentials in the Atlas Holdall each night facilitates the cue—professionals awaken with daily workout essentials ready-to-go. The convenience of carrying a single handsome, American-made bag that separates workout clothes from work gear provides the reward. 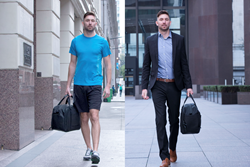 Since regular exercise is linked to improved concentration, creativity, and mental stamina, the new exercise habits created by the Atlas Holdall will not only improve physical fitness, but will also enhance work performance. 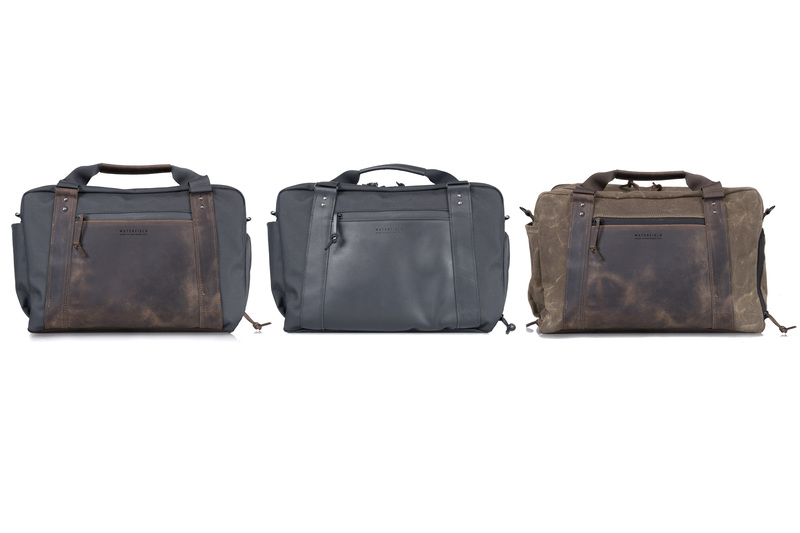 The Atlas Holdall combines the best features of a professional briefcase and a fitness bag into one sleek design. 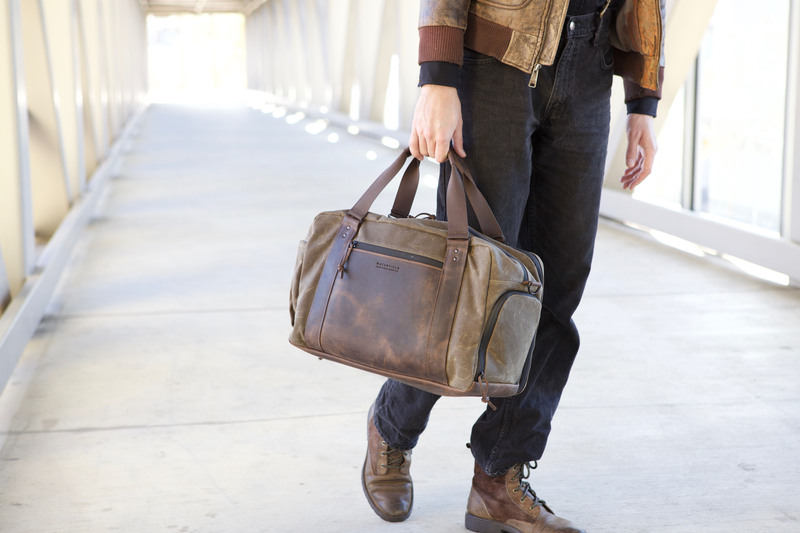 In either classic, sturdy black ballistic nylon or rugged, tan, waxed canvas and premium full-grain leather accents, the Atlas Holdall looks as smart with a suit as it does with workout attire. 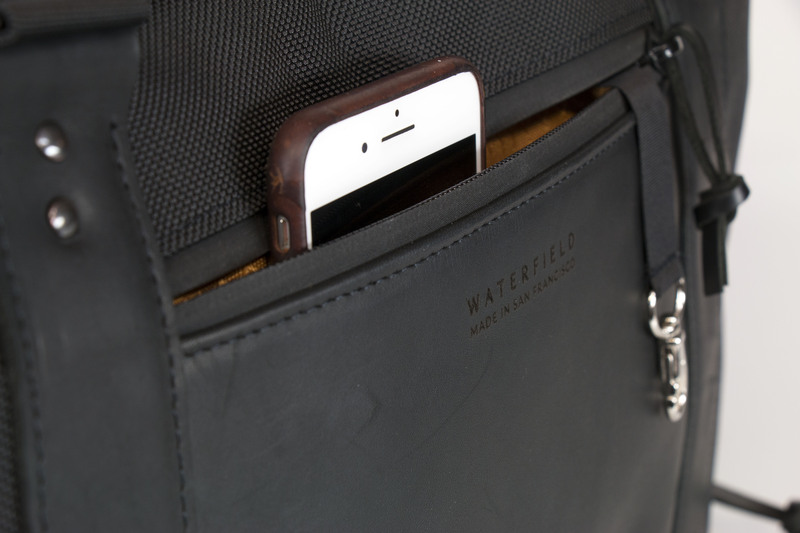 A slim chamber, secured by dual waterproof zippers, serves as a briefcase. 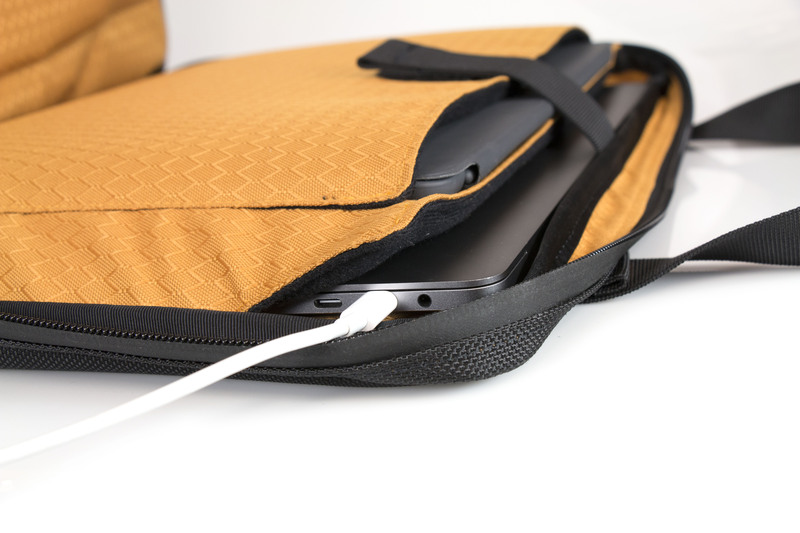 Inside, two built-in, padded sleeves protect a laptop and tablet, and additional pockets stow a power supply, cords, a pen or stylus, and other work necessities. Corner cut-outs on the laptop sleeve permit laptop charging while the device remains safely within. The TSA-friendly briefcase compartment opens flat so the laptop remains protected inside while passing through TSA screening. 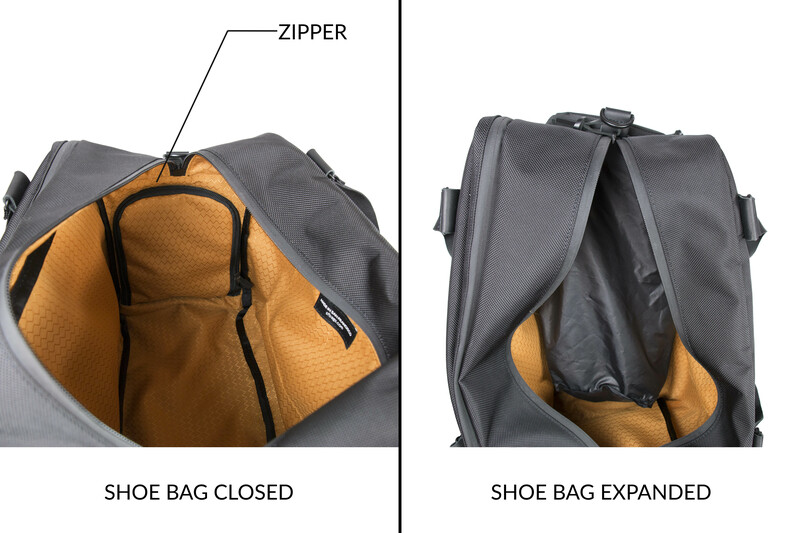 A cavernous compartment, secured by dual waterproof zippers, stores clothing for exercise or for an overnight trip. 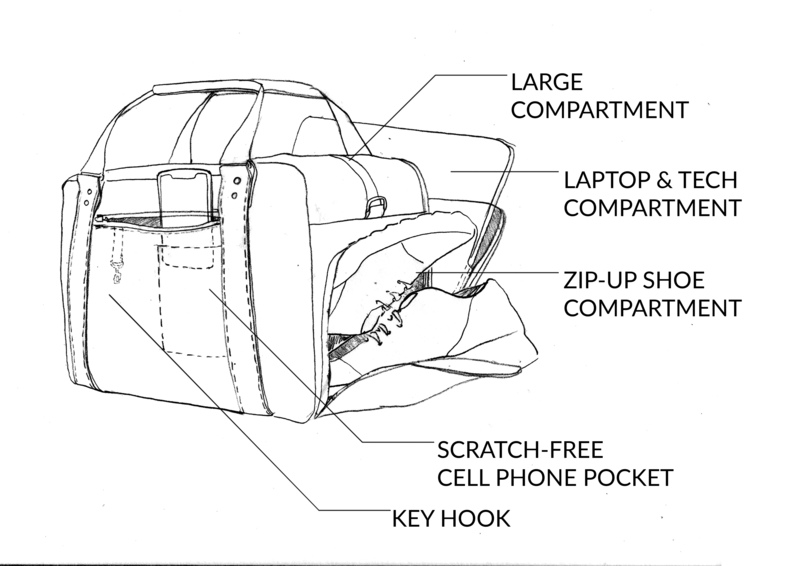 A discrete, zippered, pouch separates shoes from apparel and work items in an interior pocket accessed from the outside. It recedes when not in use to maximize space. An exterior zippered front pocket holds quick-access items. Inside the exterior pocket, an Ultrasuede® smartphone pocket and a key fob make it easy to retrieve these items after a vigorous workout. An open-topped side pocket stores a water bottle. Gold rip-stop lining lights up the bag’s interior for improved visibility. Three carry options — dual leather-grip handles, a suspension shoulder strap, and a wheeled-suitcase handle pass-through — add to the Atlas Holdall’s versatility. 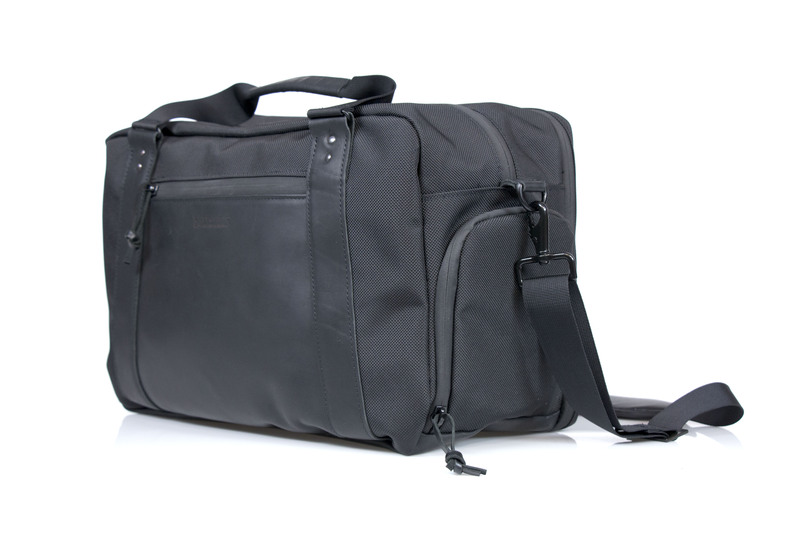 The Atlas Executive Athletic Holdall joins a full line of WaterField bags and cases that support professionals in their daily lives. 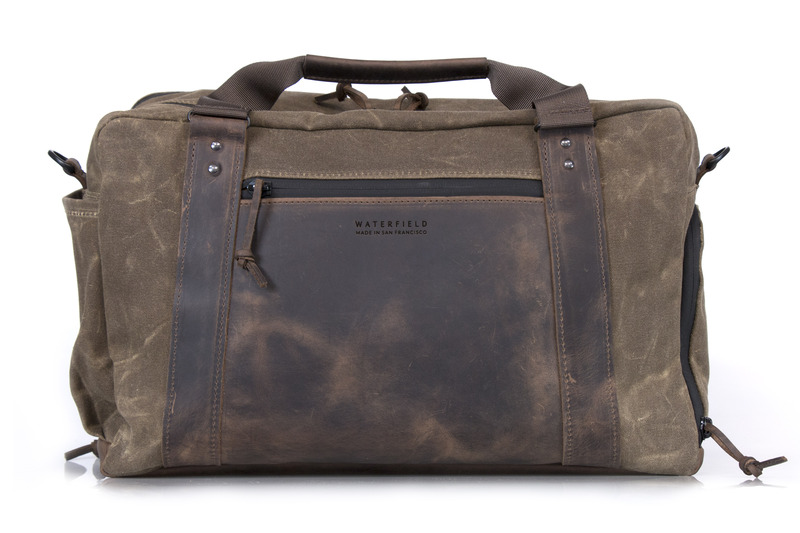 The Atlas is available exclusively from the WaterField Designs online store. Colors: Black ballistic nylon with black or chocolate full-grain leather details. Tan waxed canvas with full-grain, chocolate leather details. Weight and dimensions: Canvas—3.4 lbs. Ballistic—3.1 lbs; 16 x 10 x 8.5 inches. Meets most airline personal carry-on item size requirements. Available for order now. Pre-launch production run sold out. Next production run ships February 2, 2018.